What Size Worship Flag Baton Should I Order? 10 year olds to Adults order the 28” Flag Baton Shaft. 6 - 10 year olds use 25” / 26” . Easy Twirling, Faster Speeds & Optimal Performance! Flag Baton Shaft Comparison: We offer three styles of Praise and Worship Flag Shafts. The Flag Shaft Standard, Flag Shaft Elite, the Light Weight Flag Shaft & Economy Worship Flag Shafts. Each have their own advantages. All of our flag shafts are made with the finest materials and are built to last. Below are a few comparison that will help you to choose the worship flag shaft to best suit your needs. Chrome Steel Flag Shaft vs White Fiberglass Flag Shaft: We offer two types of Shaft materials. Chrome plated steel shafts or the white fiberglass rod shafts. Both types are very durable. The chrome flag shafts are all-purpose. They will last for many years and still have the look of being new. The chrome is easy to keep clean and is the best choice for longevity. The white fiberglass rod flag shafts are light weight. If you are performing in a group, in a tight place, you may accidentally hit one of your partners with your flag shaft. The light weight shafts don’t have the impact if you hit someone that the steel shafts do. Also, works great for children or adults who may have trouble using the heavier steel shafts for longer periods of time. The Flag Shaft Elite combines light weight with a chrome plated steel shaft. Other cheaper materials (that we don’t manufacture with) such as Wood Dowels or Aluminum may be attractive in price but will not hold up over time. Wood Dowels will break and Aluminum will bend. 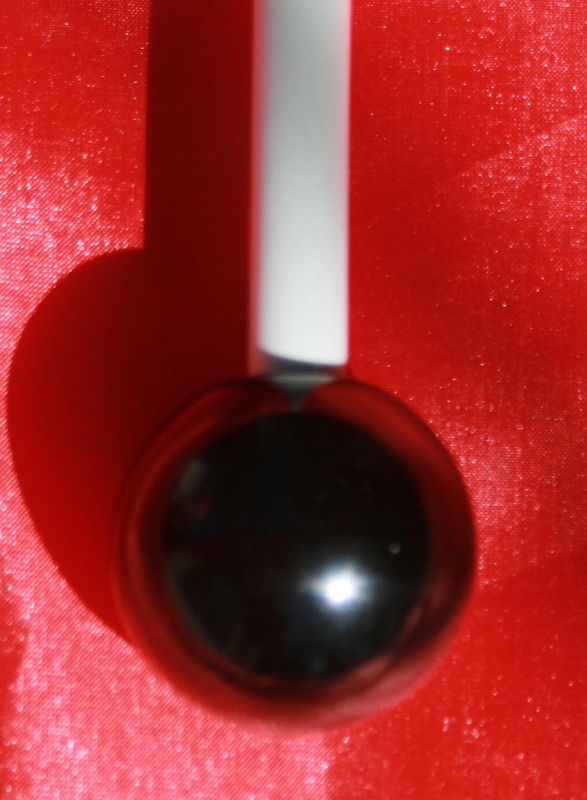 Black Flag Ball vs White Rubber Flag Ball: We offer two types of Flag Ball materials. The black flag ball is made out of duraplast. It’s a hard durable resin. It has the look and feel of ceramic. It can be dropped on hard surfaces without being damaged. It’s highly polished slick surface allows the flag shaft to move smoothly in your hand. Easy to clean. The White Rubber Flag Ball is made out of rubber. It’s softer on the hands and is scalped to fit between your fingers. The ball will get dirty and may turn off-white after time. Can be replaced easily. Other materials (that we don’t manufacture with) such as Black Tire Rubber Flag Balls will leave your hands or gloves dirty. These Church Praise & Worship flags fit our 25 / 26” and 28” Flag Shafts sold separately above. 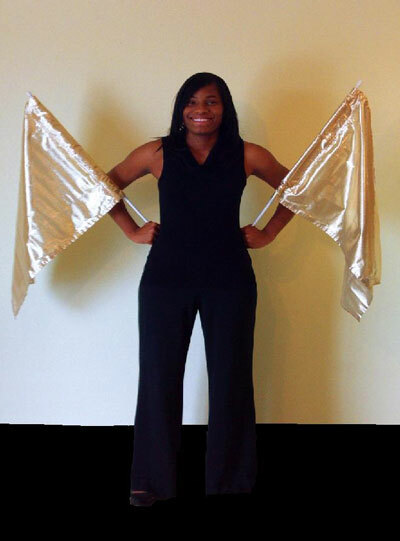 Available in Metallic Colors: Red, Gold, Silver, Royal Blue, Purple or Poly China Silk White. Sold singly, not in pairs. Twirl Flag Baton Shaft made with non-bending chrome plated steel. This worship flagshaft comes completely assembled with all components except the flag (sold separately). Flag swivel tube allows the flag to swivel around the flag shaft without winding up on the shaft. The weight of the 28” Flag Shaft is only 8.1/2oz. Available in stock sizes 25” or 28”. We offer praise worship swing flags for 25”/ 26” and 28” shafts below..
Twirl Flag Baton Shaft made with non-bending chrome plated steel. This worship flag shaft comes completely assembled with all components except the flag (sold separately). We offer worship swing flags for 25”” and 28” shafts below..
Twirl Flag Baton Shaft made light weight white fiberglass rod non-bending. This worship flagshaft comes completely assembled with all components except the flag (sold separately). Velcro for attaching flags to the shaft. We offer worship swing flags for 26” and 28” shafts below. 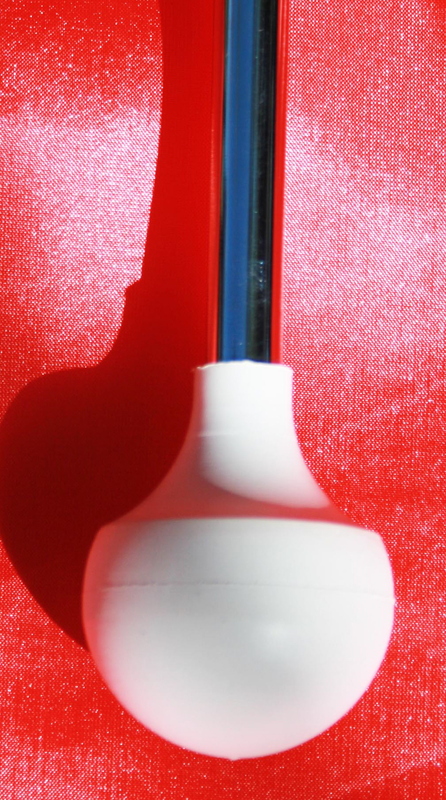 Twirl Flag Baton Shaft made light weight white fiberglass rod non-bending. This worship flag shaft comes completely assembled with all components except the flag (sold separately below). Discounts: We offer group discounts on orders of 10 or more lightweight flag shafts 20% discount . Discounted on 10 or more of same size. Our Best Seller Worship flag shafts for Church Praise groups. Discounts: We offer group discounts on orders of 10 or more Flag Shaft Standard 20% discount. Only $19.20 when you buy 10 or more of same size. 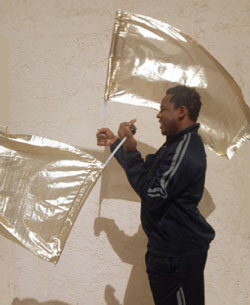 28 Inch Light Weight Flag Shafts shown with Gold Metallic Flags Sold separately below. 28 Inch Flag Shafts shown with Gold Metallic Flags Sold separately below. Have them at your next event. Like us on Facebook to get promo updates and coupon codes!